Robo-Dog is brand new to DVD this week from Icon Film Distribution and promises a fun-filled adventure just in time for half-term. A fun-filled family adventure with plenty of bark, Robo-Dog stars Patrick Muldoon (Starship Troopers, Stigmata) Olivia D’abo (The Wonder Years, Law and Order), Michael Campion (The Great Zombini) andWallace Shawn (The Double, The Princess Bride), and while real-life robo-dogs are some way off, this is one film guaranteed to be kids’ best friend! 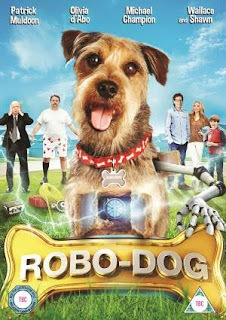 We've watched Robo-Dog a few times now and Bud loves the exciting adventures of Robo-Do and Tyler. 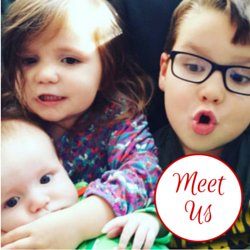 It's a great fun, family adventure for the whole family and comes highly .recommended from us. For a quick peek at the film, why not take a look at the trailer? I've teamed up with Icon Film Distribution to offer TWO of my lucky readers the chance to win their own copy of Robo-Dog on DVD. To enter the giveaway please complete the Gleam widget below. The blog post comment is compulsory and will unlock a range of additional entry options. Please read the terms and conditions.